I don’t know what we’re gearing up toward in the varying plotlines, but I can honestly say I’m looking forward to all of them at the moment. This month we got to see Buffy, Xander and Dawn, as well as Billy and Devon. Yes, my love of the latter couple is still going strong. When last we left the Slayer, she had been whisked away by Illyria, leaving Dowling and Billy to fight the zompires on their own… and not doing too well with that. Without Buffy there to help, Dowling fell to a zompire and was slowly being drained. It was left up to Billy to save the day, but alas, he was in way over his head. He wasn’t trained for this, not yet, and if it weren’t for the cops coming in for the rescue, Dowling would have been dead and Billy along with him. This close call left the Slayer-in-Training shaken, so much so that he relayed his doubts of ability to Devon on the phone. Hurrah, his boyfriend/Watcher isn’t going to be forgotten as I feared! Devon actually served as a good sounding board for Billy and helped him focus on how to find Buffy again. When in doubt, the Hardy Boys will have the answers. I just hope that he won’t be put in another dangerous situation, or at the very least Devon will be there to have his back when the time comes. 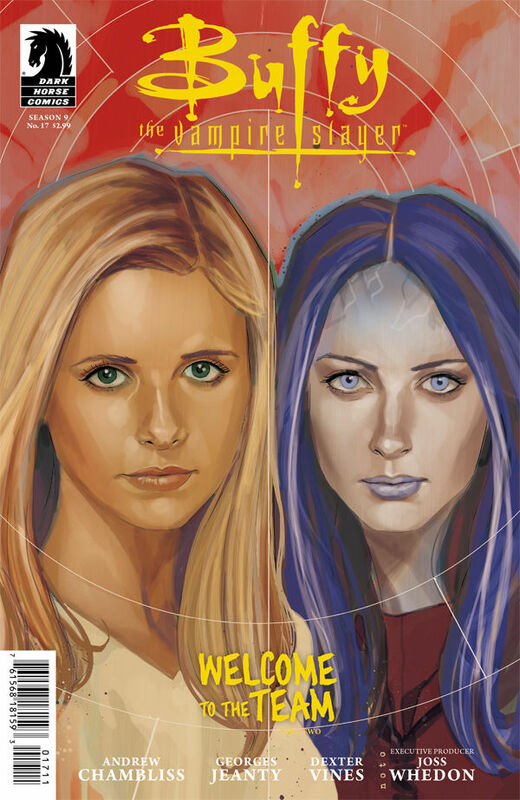 Meanwhile, Illyria is with Buffy, though she has neither the time nor patience to give the Slayer the information she seeks. Instead, Illyria leaves it to D’Hoffryn and the other magical members to do that job. They explain to her that those who still hold power must band together to protect it, else magic will be truly lost to all. And they’re not doing it out of selfishness either, but more self-preservation. Severin aka the Siphon has been draining their powers and growing stronger himself. 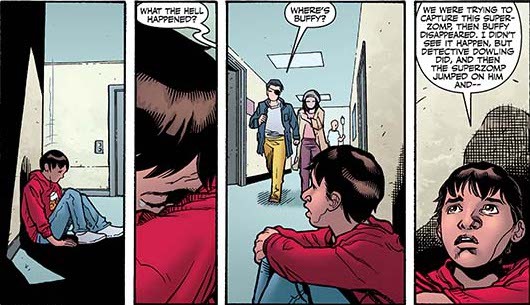 Buffy failed in her mission to stop him last time and something must be done now. 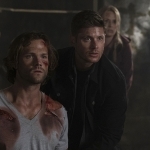 They’re having to take up her unfinished battle, though they would like Buffy to join them as well. She agrees, either through a sense of guilt or a sense of obligation, but she will not have to go into this battle alone. Illyria will join her, as will Eldre Koh. Yeah, neither Buffy nor him seem too keen to join forces, but desperate times call for desperate measures. They have a job to do and pettiness between them has no place at the moment. What was supposed to be a quick raid on Severin’s location, however, turns into a trap when he gains the upper hand. How will the trio get out of that one? We’ll have to wait and see. And if that weren’t enough, there’s also things going on with Dawn and Xander. Buffy’s little sister is still sick and Xander’s getting pretty irritable over it. And when they’re called to the hospital to await news on Dowling, Xander’s anger issues don’t dissipate either. Finally Dawn has had enough and confronts her boyfriend over his behavior and that’s when we get the admission that Xander’s having a hard time adjusting to “normal life” after what their lives used to be like. He doesn’t want to go back to saving the world every day, but his brain is still stuck in that mindset, so it’ll take some time before he’s not jumping to life or death conclusions around every turn. Dawn’s ill health is probably not going to help him keep his calm either, considering she passed out in the hallway and we’re left to wonder what’s wrong with her. Is it just the flu? Is she really pregnant, as Xander once suspected? Or is something more sinister going on? Can they ever have a normal life, considering who they are and who their friends are? I doubt it, but I’m interested to see what the future holds for them and all the others. 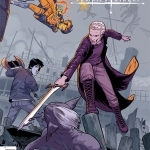 My recap of BTVS S9 #17 is up on @Fandomania http://t.co/eTa0irJE Interesting storylines are developing. Plus, Devon has not been forgotten!